Kaolin, a kind of non-metallic mineral resource, is widely used in many industrial sectors. In order to meet the requirements of paper, plastic and rubber products’ production, kaolin must has high fineness. Therefore, a kaolin crusher is urgently-needed in such a situation. To satisfy the requirement, Aimix has designed and manufactured several kaolin-crushing machines. 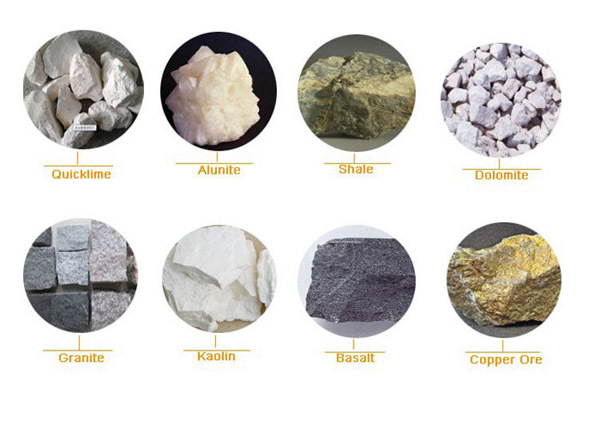 kaolinite crusher is extensively applied in many fields, such as paper making, ceramic and refractory material, rubber filler, enamel, glaze, white cement raw material, petroleum, chemical, building material, national defense and other industrial sectors. In fact, there are several process flows of Kaolin-crushing. To sum up, the process flow can be divided into coarsely crushing, finely crushing and grinding. 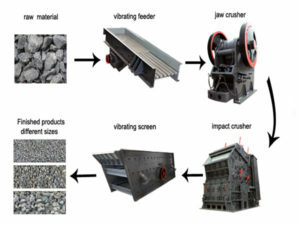 Next, Aimix will introduce the detailed crushing stages to people who are interested in the kaolinite mobile crusher. This is the first step to turn kaolin into industrial raw material. 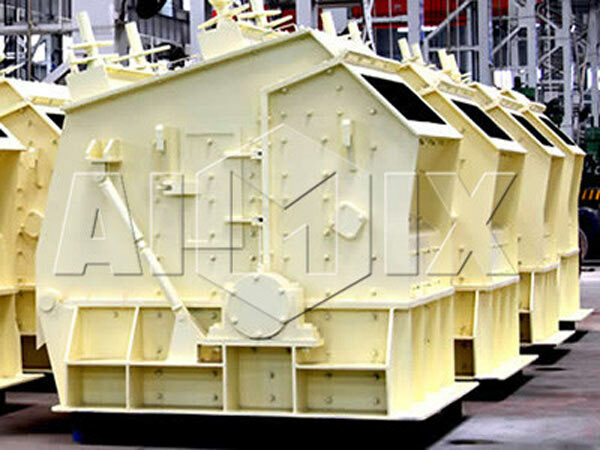 A jaw crusher is usually used as the primary crushing machine in the kaolin processing plant. 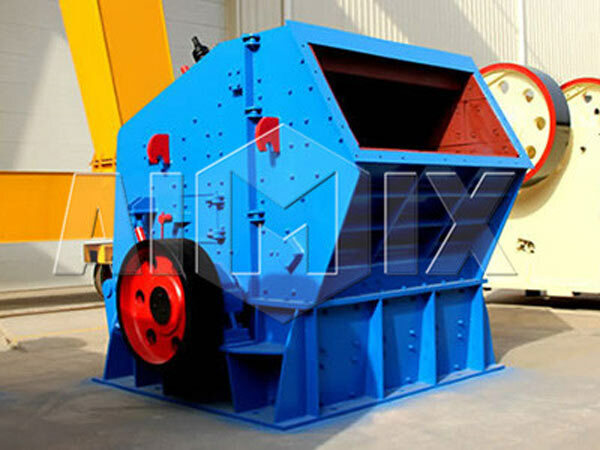 As we all know, jaw crusher has large crushing size, and the feeding material size is about 125-1500mm. Therefore, after crushing by jaw crusher machine, large size of kaolin can become smaller material. In this stage, Aimix suggests you use a impact kaoline crusher machine. This kind of best stone crusher plant has very big impact energy. When impact crusher is working, the rotor driven by the motor has high-speed rotation. When the kaolin materials go into the plate hammer area, they could be crushed by plate hammer on the rotor. Then materials are thrown to the counterattack device to be crushed again, and they are re-broken by hammer. The process is repeated, and the materials can be repeatedly crushed by three counterattack cavities until the materials are crushed to the required size. And then they are discharged from the discharge port. kaolin grinding mill used in this process flow is a Raymond mill. This kind of mill machine has high efficiency, low energy consumption, small occupation area, little capital investment and other characteristics. Therefore, it is widely used in metallurgy, building material, chemical industry, mine and other fields. The aggregate crushing machine can grind kaolin into the required size. And then the kaolin materials will be putted into industrial production. Firstly, the mill’s main driving device adopts airtight gear box and belt pulley. Therefore, the transmission is stable and the operation is reliable. Secondly, the main parts of Raymond mill are made of high quality steel, and the wear-resistant parts are made of high performance and wear-resistant materials. Thirdly, the electric system adopts centralized control operation. The mill can basically realize unmanned operation, and the maintenance is convenient. 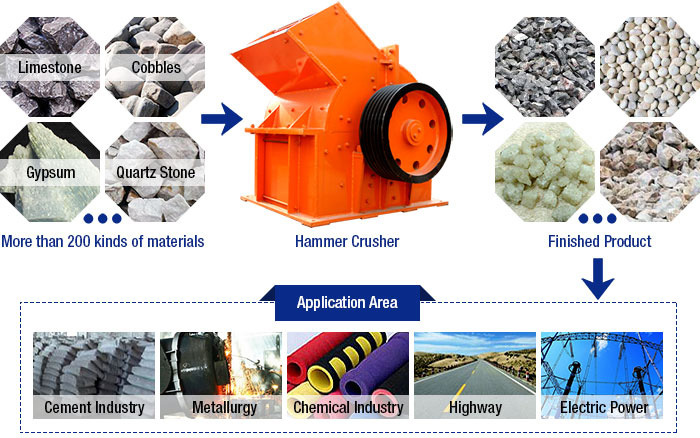 Hammer kaolin crusher is a kind of equipment that breaks material by impact energy. 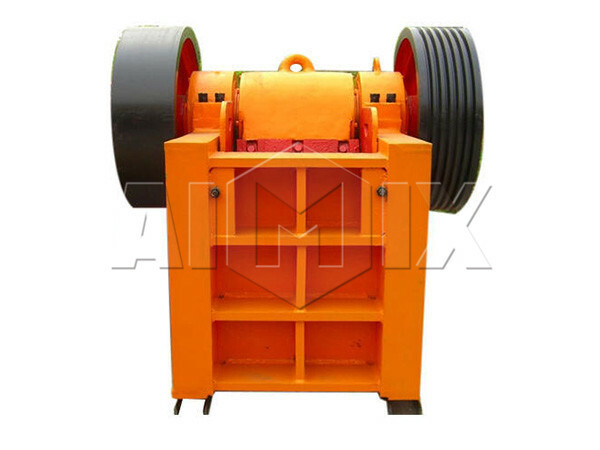 The machine can be divided into two forms: single rotor crusher and double rotors crusher. It is a crushing machine that can breaks the material about 600-1800 millimeters into 25 or 25 millimeters. In addition, it is suitable for crushing medium hardness materials (such as limestone, slag, coke, coal) in cement, chemical, power, metallurgical and other industrial sectors. 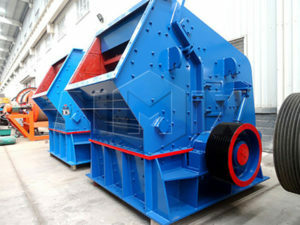 Hammer crusher not only can be used in crushing production line, sand production line, but also can replace cone crusher in mineral processing production line. Nowadays, kaolinite crusher’s demand is huge. Choosing a suitable kaolin powder grinding plant from numerous crusher manufacturer is not easy. 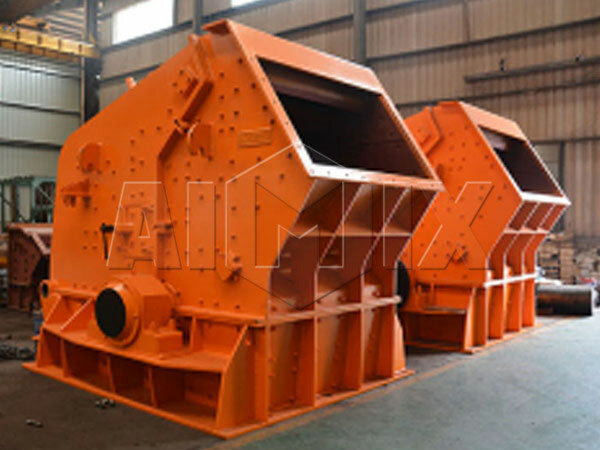 If you want to purchase a crusher machine, you can choose Aimix. 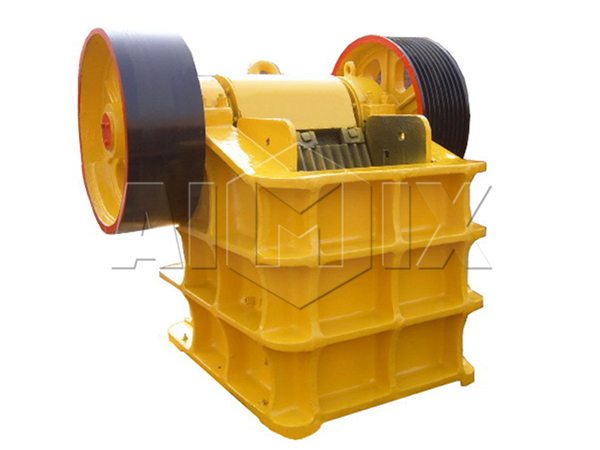 Aimix is a professional and reliable mining machinery manufacturer and exporter. Its equipments have been exported to more than 60 countries over the past 30 years. If you have any problem about kaolin crushing process or the crusher machine, please don’t hesitate to contact us. Sending us an e-mail or chatting online are all effective ways to get more information. Choosing Aimix is the decision you will never regret!